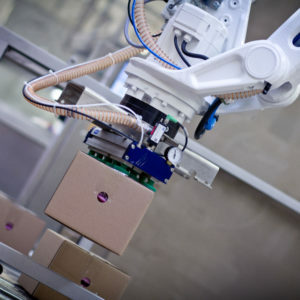 By combining robotics with image processing, we enable products in various sectors to be manufactured and their quality to be assured in a quick, reliable and cost-effective manner. Here, image processing gives the robots a new “purpose” by transforming them into production equipment that can “see”. 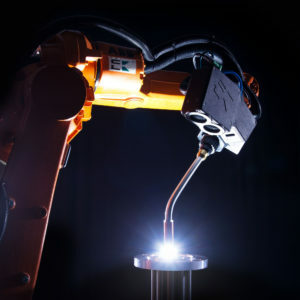 This opens up the possibility of automating handling, assembly and machining processes without having to precisely position the components and secure them in place. With this innovative packaging system, we meet the challenge to automatically close different bottle sizes with a preferably high cyclic output. Bottle- and cap combinations of different forms can be closed with a speed of up to 50 cycles per minute and a very low setup time. The system offers options for both screw or snap-on closures. 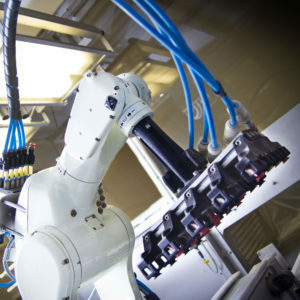 Through the application of the most modern technologies like cameraguided robots and the Multi Carrier System (MCS) of Siemens/Festo we developped a highly flexible system. A reliable image processing unit checks the correct placement of the caps.